Bienvenidos! We are delighted that you are interested in our school. 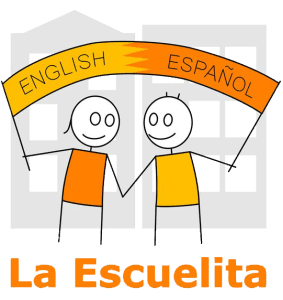 La Escuelita was started in 2003 in the basement of a church on West 91st Street, with the objective of creating a high quality preschool where children would spend most of their day immersed in Spanish. All students, whether Spanish or English dominant, would learn in a warm and supportive environment that combined the opportunity for free play and exploration through teacher-framed activities. 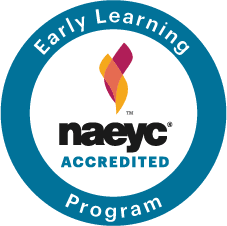 15 years later, La Escuelita has served hundreds of families through our NAEYC accredited preschool, playgroups, music classes, after school program and summer camp. The tiny basement of 91st Street has given way to a large and light filled facility on West 99th Street which provides us with room to better serve the needs of children and families with an on-site playground, gym and six large light filled classrooms. What has not changed is our firm commitment to providing a high-quality program through an emergent curriculum that implements effective research practices. For language acquisition, we prioritize Spanish immersion, in which the teachers engage with the children in Spanish for at least 90% of the school day. We promote pre-literacy and literacy skills through natural and meaningful activities like social dramatic play, cooking, classroom meetings and discussions as well as through high-quality children's books in our library and classrooms. In math, we follow children's learning trajectories based on research on how they acquire mathematical thinking. Art is an opportunity for children to explore different media and promote individual styles and self-expression. Science is explored through children's natural questions and wonderings as well as through formal experiments. Please continue to explore our remarkable school and community. From our committed teachers to our dedicated board of directors, all of us at La Escuelita welcome the opportunity to share our stories, knowledge and experience with you and your children. To learn more, click the button above to make an inquiry or register for an Open House. We hope to meet you soon.